Trump says the U.S. will be out of Syria and leave the fight against ISIS to others. 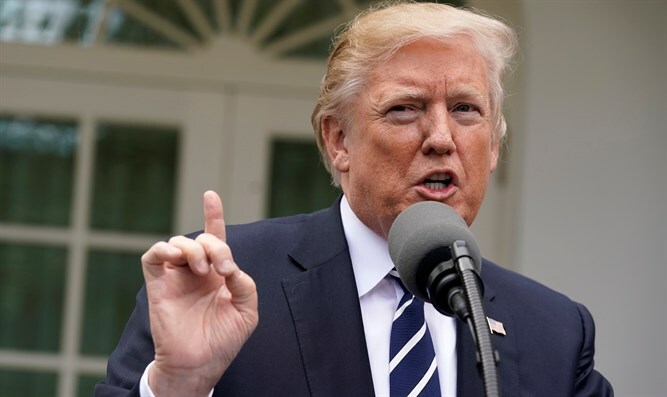 U.S. President Donald Trump said on Thursday that the U.S. would be out of Syria "very soon" in the fight against the Islamic State (ISIS). "We're knocking the hell out of ISIS. We'll be coming out of Syria, like, very soon," he said in an Ohio speech focused on infrastructure, according to The Hill. "Let the other people take care of it now. Very soon. Very soon, we're coming out. We're going to have a hundred percent of the caliphate, as they call it. Sometimes referred to as land, taking it all back. Quickly, quickly," he added. The U.S. military presence in Syria has been aimed at ISIS, but the Trump administration has also criticized Syrian President Bashar Al-Assad, citing his human rights record and his use of chemical weapons against civilians. Trump, who last year ordered an attack on a Syrian airbase following a deadly chemical attack in Khan Sheikhun, warned several months ago that Washington “would be extremely upset” if Assad uses chemical weapons again. His comments on Thursday contradict those of Defense Secretary James Mattis and former Secretary of State Rex Tillerson, who said that American troops will remain in Syria and the civilian presence will increase as the U.S. works to prevent a new terror group from forming.